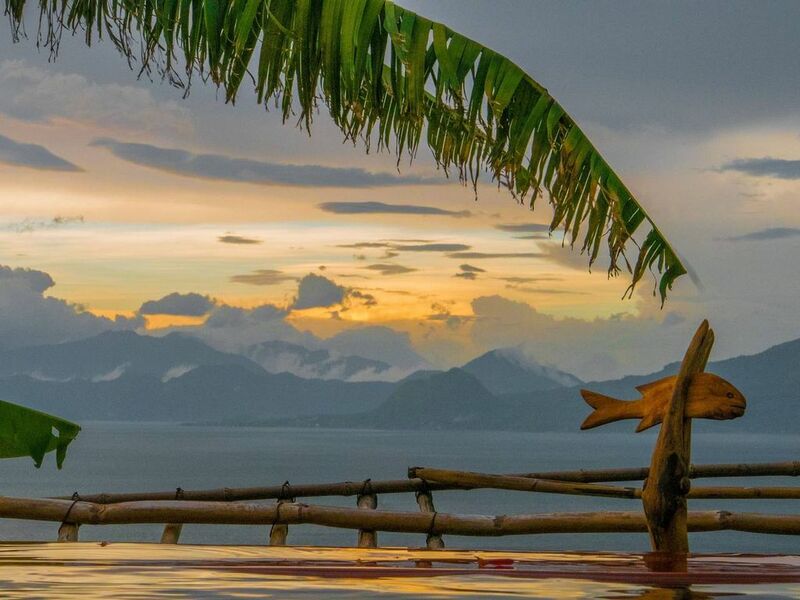 Perched above tranquil Mayan village of San Marcos, imbued in the visual resonance and energetics of Lake Atitlan, you will reunite with all your western little comforts whilst resting in what will be your homely cozy studio apartment. All bare necessities ( and a lot more) awaiting you. All modern conveniences available in this little chalet with breathtaking views. Whether inside or out, in bed or cooking, windows have been positioned such that the lake and volcanoes are always within visual reach. A nest which you will not want nor need to leave if you don't want to: spring water flowing in ( with carbon & colloidal silver filter installed for drinking water needs), and on-demand hot water for shower, bathroom sink and the kitchen sink ( propane tank). All bills included in rental ( no extra fees for utilities). We also have a peaceful Lake Front Apartment built with similar simple style (its a few minutes walk from San Marcos center) and a beautiful property in Antigua Guatemala - check out our profile. You will have access to the whole property, apart from store room. It's an intimate connection with the traditional Mayan village of San Marcos La Laguna. During your stay you will be drawn into the day to day rituals of the locals : from morning kitchen wood fires in nearby adobe huts chugging smoke that slowly and softly crawls past near distant roof tops, preparing and grinding of hand harvested heirloom corn for the making of today's tortillas, distant marimba and other musical sounds that are the order of the days celebrations, early morning and early evening outings of hand carved wooden traditional canoes used by the local lake fishermen. By foot, by tuctuc or by public or private lancha (boat). Please note this space is not for small children, because there are steep areas and drop offs. Adults must be fully mobile as access is via a small path that is narrow and sometimes steep. Our Antigua listings and lakefront property in San Marcos may interest you. Please visit our profile page or Eagle's Nest website for more info.